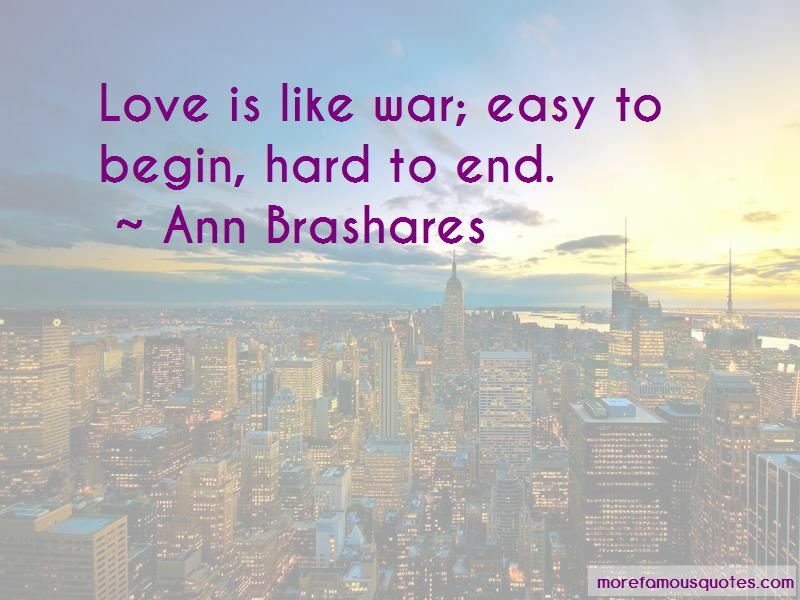 Enjoy reading and share 34 famous quotes about Love Is Like War with everyone. “Gentlemen, I like war. Gentlemen, I love war. I like genocide. I like blitzkrieg. I like aggressive war. I like defensive war. I like sieges. I like breaking through. I like withdrawing. I like cleaning up. In moors. On highways. In trenches. In plains. On tundra. In desert. On sea. In sky. In mud. “Those who romanticize war often like to think of it, at least in areas of mortal peril, as nothing but "guts and glory." Those who are inclined to pacifism, by contrast, often think of it as an unbroken sequence of horrors. Actually, however, people in wartime still fall in love, do the laundry, worry about pimples, drink beer, and do most of the same things that they do in times of peace. The patterns of daily life may be mundane, but they are remarkably tenacious. “All I know is that I like how I feel when I'm with you. I love how protective you are and that you aren't afraid to say you're sorry. I like how you touch me and kiss me. I like how you hold me, but more than anything, I like the possibilities that are before us." "We're in the middle of a war," he warned. [ ... ] And this world already had light and shadow, so it didn't need any rouge stars to come and save it, and it had no use for bleeding suns or weeping moons, either, and most important, it had never known war, which is a terrible and wasteful thing that no world needs. It had earth and water, air and fire, all four elements, but it was missing the last element. Love. And so this paradise was like a jewel box without a jewel. There it lay, day after day of rose-colored dawns and creature sounds and strange perfumes, and waited for lovers to find it and fill it with their happiness. The end. 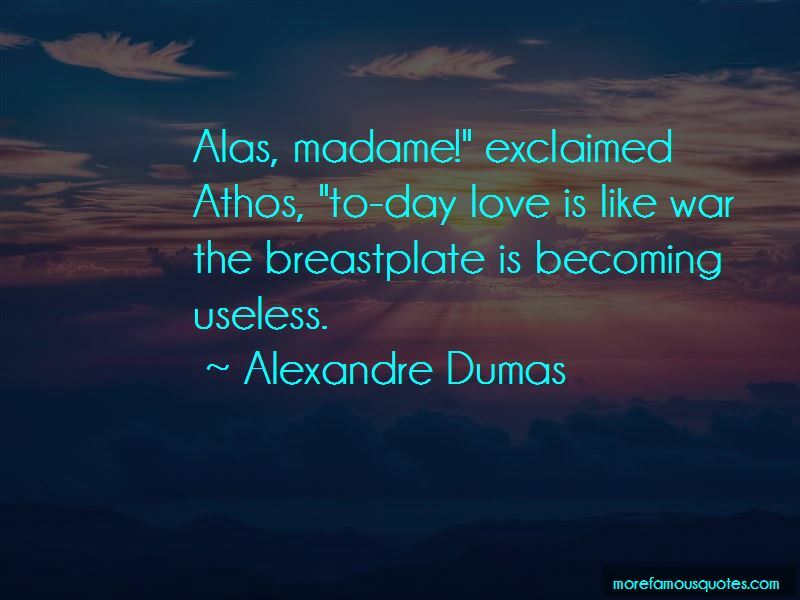 “We come into this world through women: a woman who is spent, broken open, in awe. No wonder women have been worshiped ever since men first saw the crowning of a head, here, legs spread, a brushstroke of light. We are fire. We are water. We are earth. We are air. We are all things elemental. The world begins with "Yes,"
“I'm not a violent person, Sydney. Not at all. I'll make love over war any day. But I swear, if they'd hurt you-"
"They didn't," I said firmly. I refused to let him know how scared I'd been because I was afraid he might go after them. "I'm fine. You came to the rescue." A smile played at his lips. "Something tells me you would've rescued yourself." And like that, the smile vanished. "But spirit would've been a lot more effective than a branch." “The marine corps teaches you how to be miserable. This is invaluable for an artist. Marines love to be miserable. Marines derive a perverse satisfaction in having colder chow, crappier equipment, and higher casualty rates than any outfit of dogfaces, swabjockies, or flyboys, all of whom they despise. Why? Because those candyasses don't know how to be miserable. “But you can't make war personal," I say, "or you'll never make the right decisions." "And if you didn't make personal decisions, you wouldn't be a person. All war is personal somehow, isn't it? For somebody? Except it's usually hate." "I'm just saying how lucky he is to have someone love him so much they'd take on the whole world." His Noise is uncomfortable, wondering what I'm looking like, how I'm responding. "That's all I'm saying." "He'd do it for me," I say quietly. I'd do it for you too, Lee's Noise says. And I know he would. But those people who die because we do it, don't they have people who'd kill for them? “I never thought I'd get to see Rome," Hazel said. "When I was alive, I mean for the first time, Mussolini was in charge. We were at war." "Mussolini?" Leo frowned. "Wasn't he like BFF's with Hitler?" Hazel stared at him like he was an alien. "BFF's?" "I'd love to see the Trevi Fountain," she said. "There's a fountain on every block," Leo grumbled. "Or the Spanish Steps," Hazel said. "Why would you come to Italy to see Spanosh steps?" Leo asked. "That's like going to China for Mexican food, isn't it?" 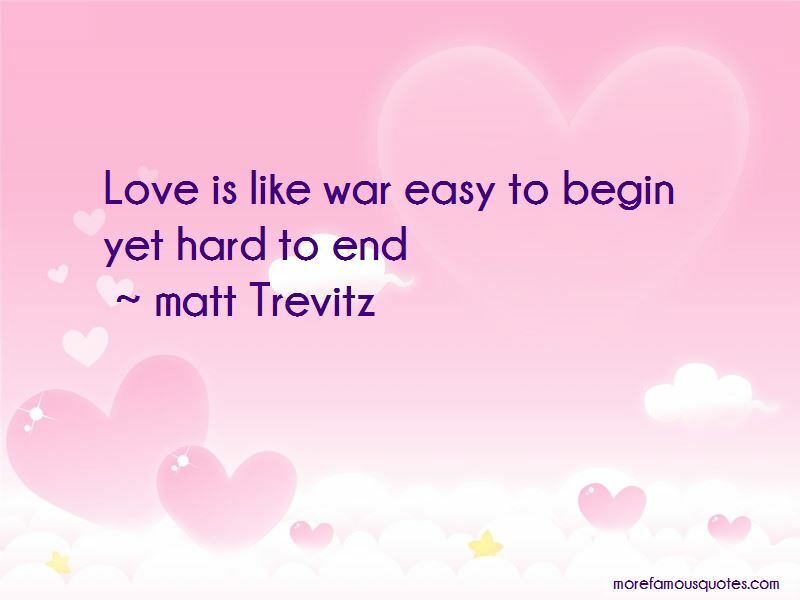 Want to see more pictures of Love Is Like War quotes? 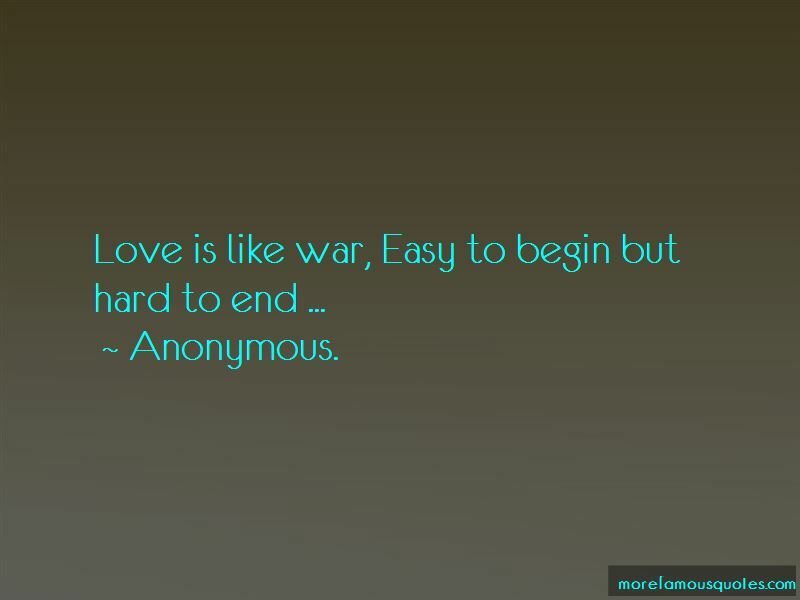 Click on image of Love Is Like War quotes to view full size.